I really enjoy creating characters. Making the creature has personality is an interesting process, is very satisfying to see how he “grows”. In the attached image you can see three steps of the process (they are monsters from de video game Monsters Band). I often wonder how different is the creature from start to finish! 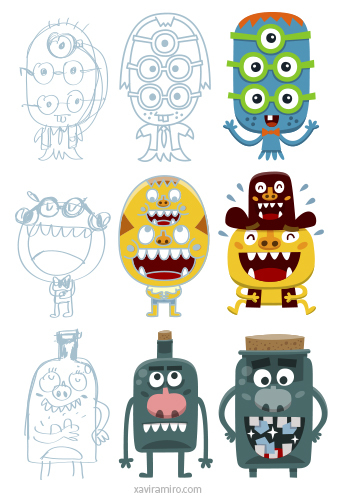 Although the personality of the monster is always the same, the “styling” is changing with the creative process. Besides the pleasure of drawing, the challenge and fun for an illustrator is turn an idea into an image.